A comprehensive fifteen day tour of the major sights of the great cities of Tehran, Kashan, Yazd, Isfahan, and Shiraz and staying one night in a local house in nomadic area. Upon your arrival you are met at the airport and transfer to the hotel. After a short rest at the hotel, we spend all day visiting the capitals Archaeological, Royal Crown Jewels,Carpet Museums and Golestan Palace. We drive to Qam and Kashan and visit the Royal Gardens of Fin, Agha Bozorg Mosque, Sialk Mounds. 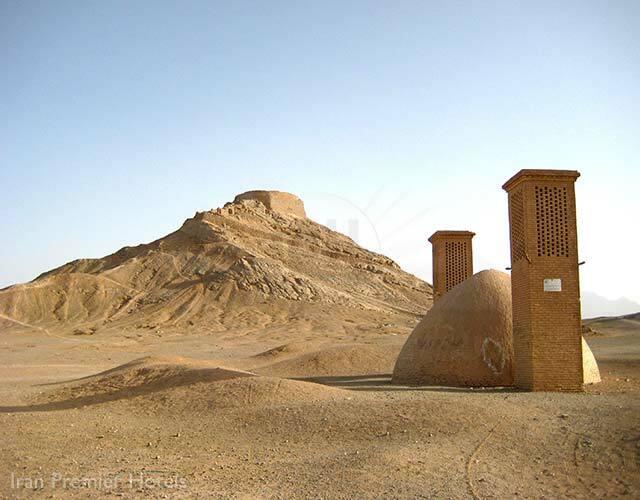 Our day consists of a leisurely drive on to Yazd, visit ancient village of Abyaneh Natanz, Ardestan, Na?in, Check Check Kharanegh on the way and overnight in Yazd. Visiting nomads in Bazm village. Overnight in local house. Drive toward Shiraz, visiting Persepolis, Naghesh-e-Rajab and Naghesh-e-Rostam Pasaragde. Overnight at 3* Tourist inn near Persepolise. Sightseeing in Shiraz, visiting the Eram Garden, Hafez and Saadi Tombs, and the colourful Bazaar. Overnight in Shiraz. Drive to Firozabad visit Sassanid rock relief and the ruins of historical city of Bishapour and continue to drive to Yasuj for overnight stay. Drive to Isfahan. A half day sightseeing, visiting Imam , Sheikh, and Lotfollah Mosques, the Aliqapou Palace, Vanak Church, the Shaking Minarets, and the Fire Temple. A full day sightseeing in Isfahan. Full day sightseeing in Tehran, dinner in a restaurant in Darband at the foot of Alborz mountain at north of Tehran. Overnight at Laleh hotel.